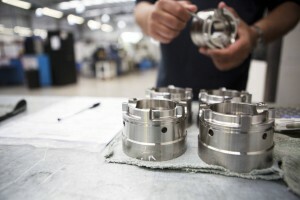 Beverston Engineering is a world class manufacturer specialising in the prototyping and manufacture of state of the art engineering components for a wide range of industries. These include aerospace, oil and gas and pharmaceutical industries where safety and accuracy is critical requirement of the components we manufacture. Beverston is committed to developing partnership relationships with existing customers and creating new business opportunities with clients in high technology industries. Our goal is a year on year increase in turnover whilst maintaining world class performance levels in quality and delivery. Our commitment to excellence means we hold the highest accreditations and hold customer approvals from companies such as United Technologies Corporation, Rolls Royce - Controls and Data Services, Pattonair and ChargePoint Technology among others. Using state-of-the-art CNC Machines our team of engineers specialise in developing components for the aerospace, oil & gas and pharmaceutical industries to the highest international standards. 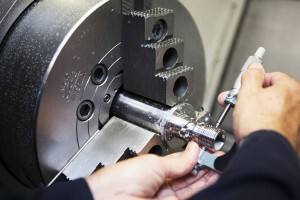 Beverston Engineering has a modern machine shop which houses the latest CNC machines as well as conventional equipment. Our engineering machine shop is located in our 16,420 square foot premises with exceptional capacity and operated by highly qualified and experienced engineers.